The Beacon Box is the perfect keeper for life’s little treasures. 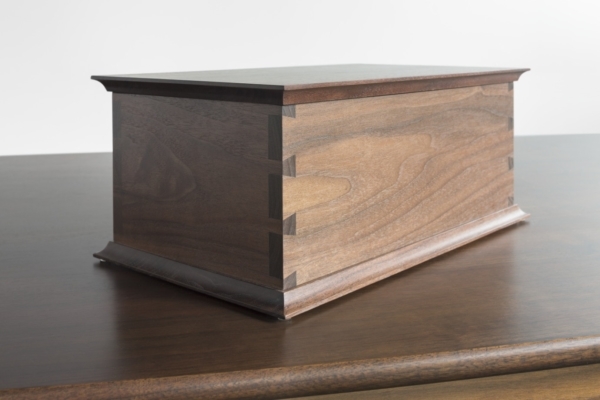 Clearly the work of a master craftsman, the Beacon Box takes a shape that’s at once arrestingly simple, and subtly complex. Fashioned with interlocking hardwood sides, each corner is finished with an exposed dovetail joint, adding visual detail that attests to its durability. The Beacon Box was inspired by one created in honor of Joan Benoit Samuelson and of the annual TD Beach to Beacon 10K Road Race that she founded and chairs in her home state of Maine – and joined our Accessories portfolio to quickly become a customer favorite. 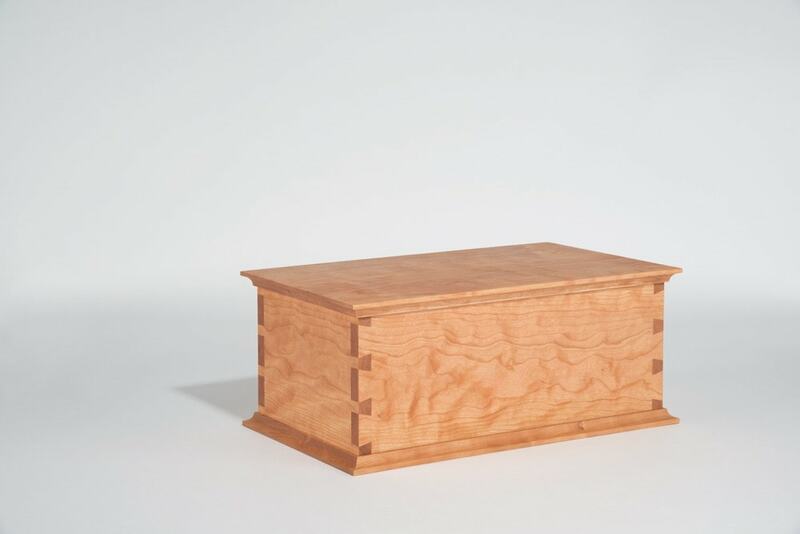 The idea for a keepsake box came about when Joan Benoit Samuelson – “Joanie” – and Tom Moser had the chance to meet at our Freeport Showroom. Tom’s son and master craftsman, Andy Moser, furthered their idea, and in summer 2014, the first Beacon Boxes were awarded as trophies to the winners of each class of the Beach to Beacon 10k Road Race as a place in which to keep their medals. Despite its diminutive size, the Beacon Box is profoundly complex. 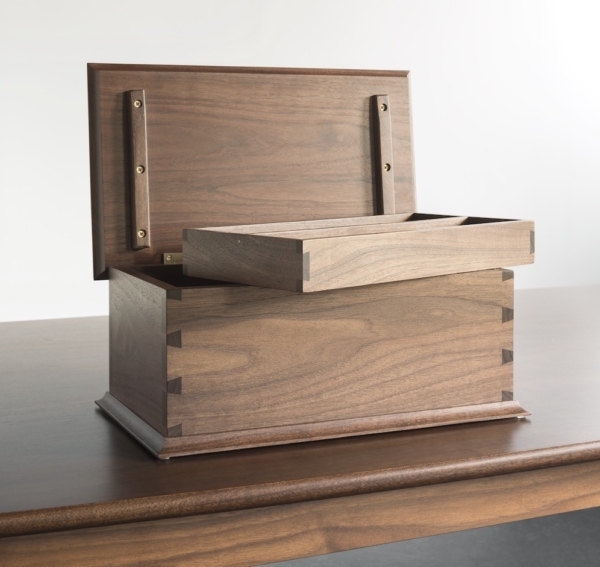 Made using North American cherry or walnut, every surface is coaxed from wood from a single tree, which is then hand-finished to expose its intricate grain. 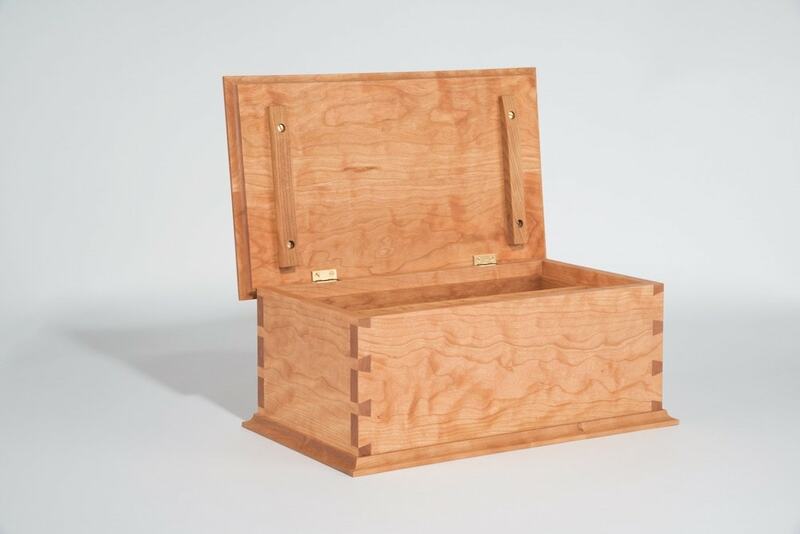 The box rests on a solid pedestal with concave edge details and is joined with traditional methods to the case it supports. Sides are dovetailed at all four corners, requiring intense attention to detail to achieve their precision fit. The hinged top echoes the bottom with a recessed edge and opens to reveal a simple, functional interior. A removable shelf rests at the top, providing easy access to the space beneath. Whether for cosmetics, letters or keepsakes, the Beacon Box serves as a beautiful accessory for any room or as a thoughtful gift – and like all Thos. Moser pieces will maintain its simple appeal for generations.